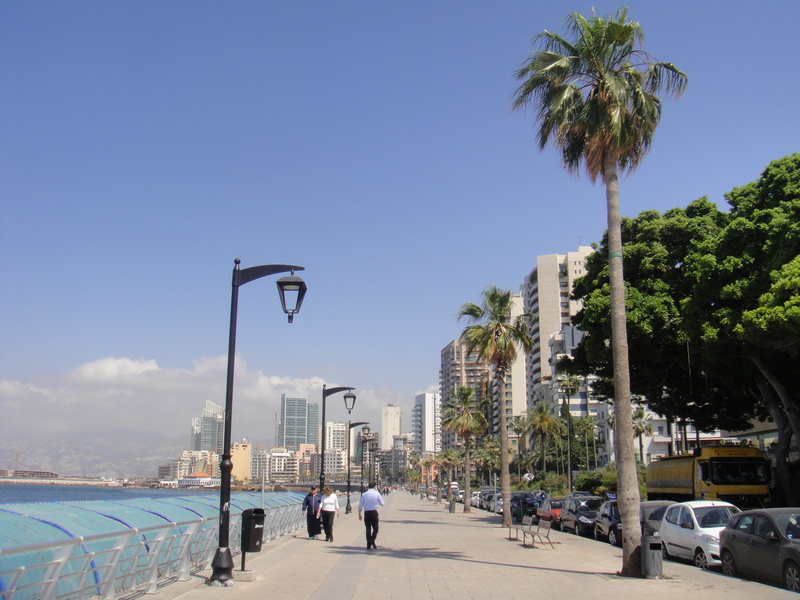 The face of Beirut has changed a lot over the past twenty years. 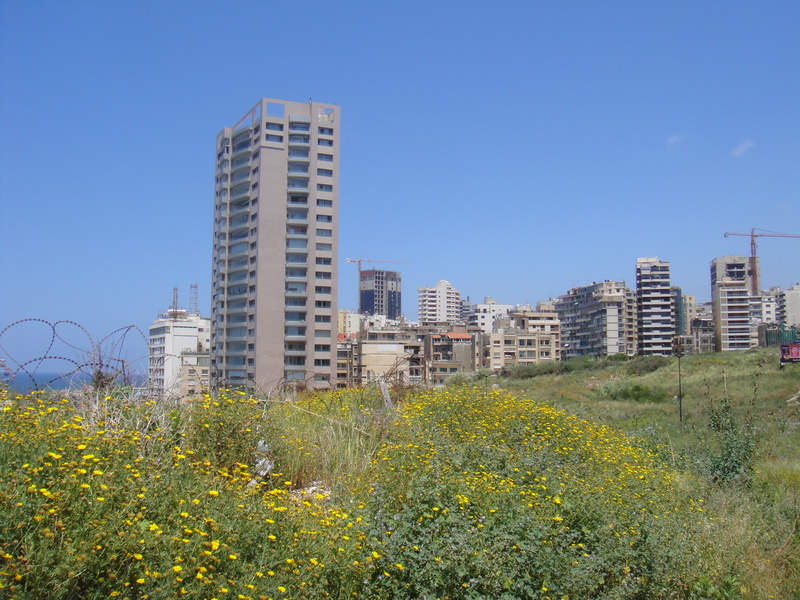 During the civil war, the downtown area, previously home to much of the city’s commercial and cultural activity, became a free-fire wasteland known as the “Green Line.” However, someone that was in Beirut before or during the civil war period of 1975 to 1990 would hardly recognize it now. In large part this is due to billions of dollars being spent on a massive rebuilding program that has completely transformed the downtown area. 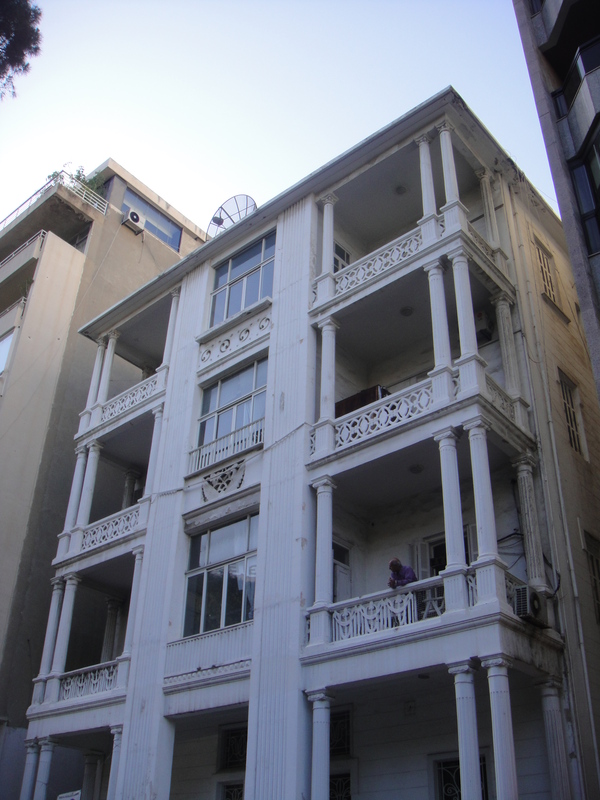 Many of those billions have come from the late Rafik Hariri’s development company, Solidere. The end result of this reconstruction is bittersweet though. 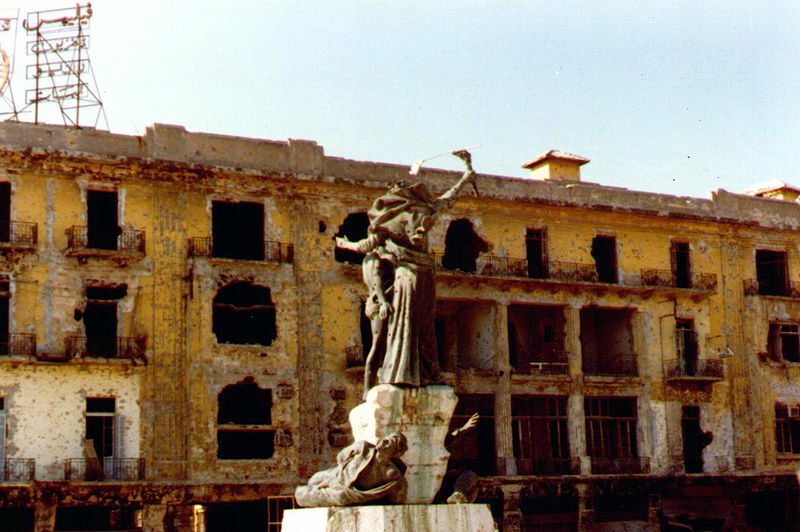 Yes, much of the ruins and wreckage has been replaced with office buildings, wide boulevards and cafes. 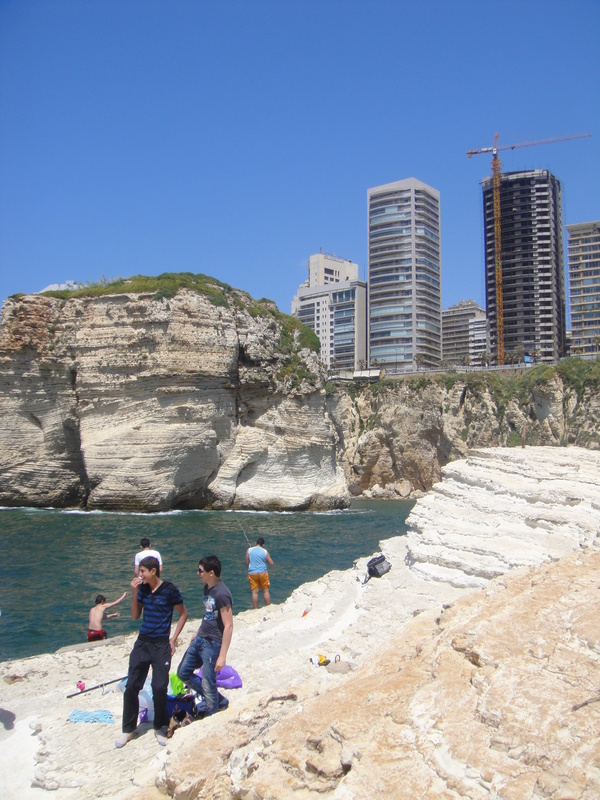 However, in the process, Beirut seems to have lost some of its soul. Now, when one strolls through the modern downtown there is a feeling of sterility – as if one could be wandering through a planned corporate office park. There is, of course, an inevitability to this given that so many special and unique places, such as Beirut’s historic souq, were destroyed during the civil war, but that knowledge does not erase this feeling of emptiness that now permeates the downtown area. 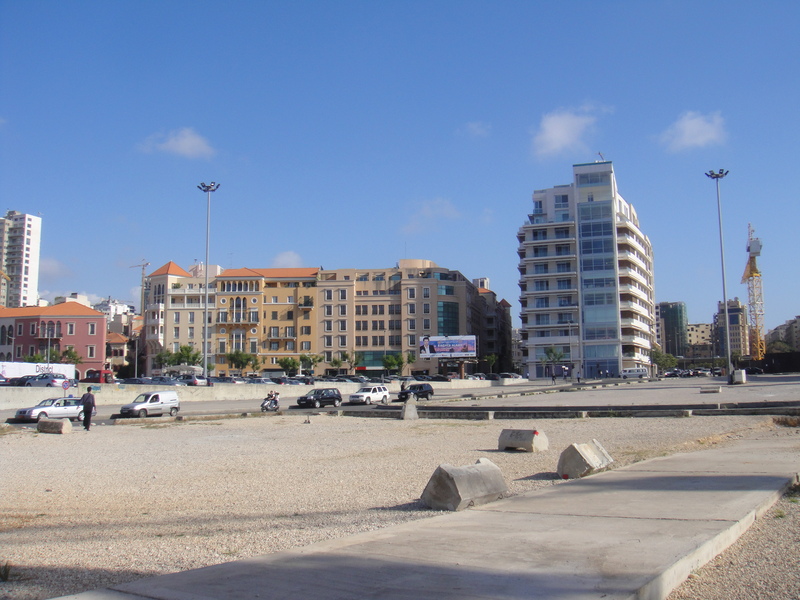 The below is Martyr’s Square in downtown Beirut… It doesn’t look like much, but Martyrs’ Square is a common location for protests and demonstrations, among the more notable being the anti-Syrian demonstrations of 2005’s Cedar Revolution. 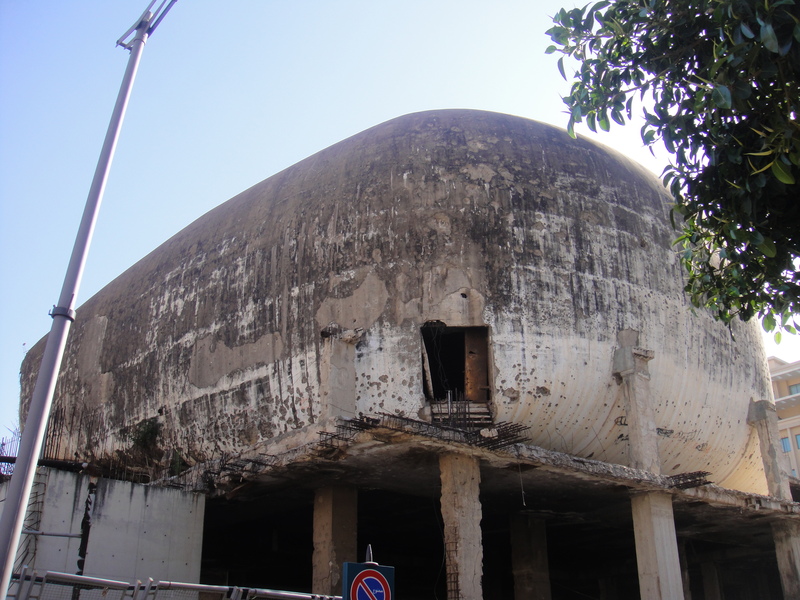 It is also the final resting place of Rafik Hariri (Well, what is left of him following the overkill nature of his assassination). 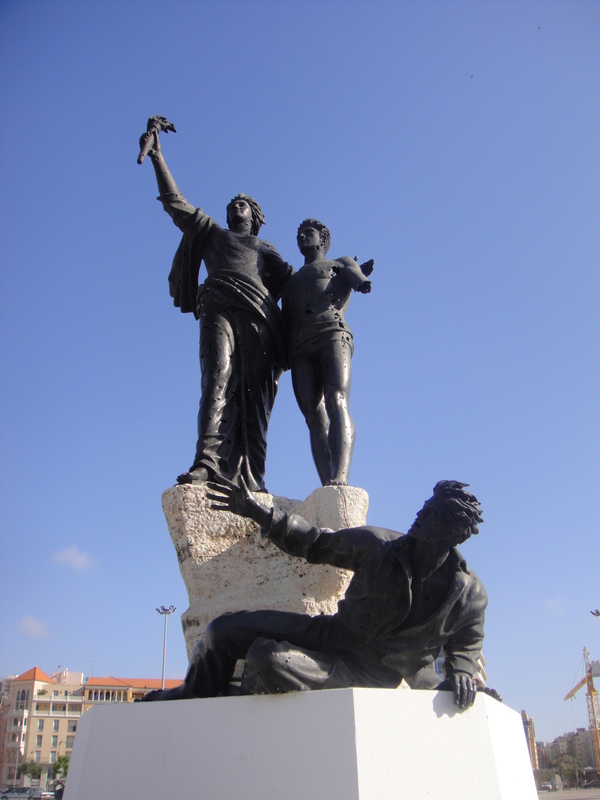 During most of the war, Beirut was divided between a Christian east and a Muslim west. 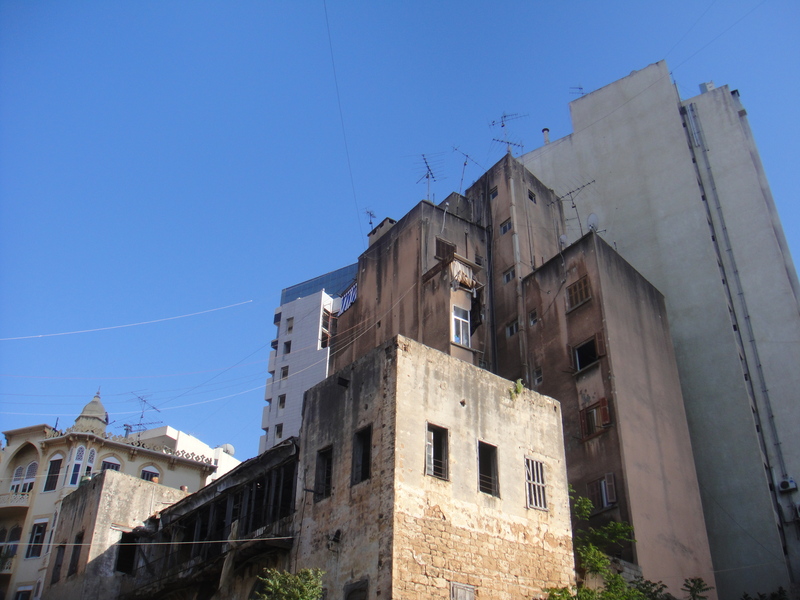 For a better sense of how at least some of Beirut might have looked before the civil war, one can head to the fringes of these divided neighborhoods. Away from what were the front lines, one may find more buildings that predate the civil war. Bombings and rocket attacks still took place in these neighborhoods, but with less frequency than the front line zones. 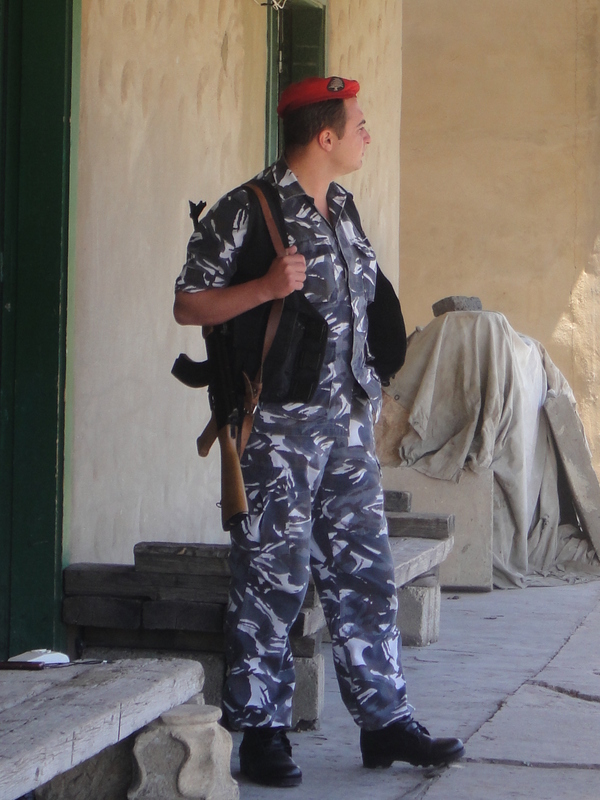 There are still many soldiers and heavily armed policemen to be seen patrolling the streets of Beirut. 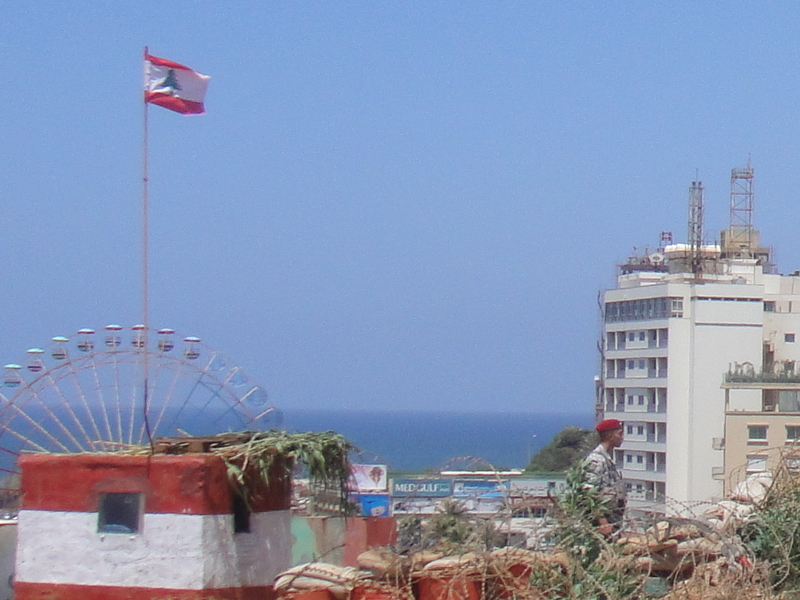 However, unlike the soldiers of Lebanon’s interior that are more on edge, the Mediterranean influence in Beirut is strong and the soldiers do not seem to take their jobs too seriously. This Mediterranean attitude carries down to the sea where the civil war feels a particularly long way off. I suppose this is a commentary on the resiliency of life. It’s funny because underlying all of the trendy bars, cosmetic surgery, heavy traffic, crowded restaurants and rampant reconstruction is the sense that things could start up again at any time. 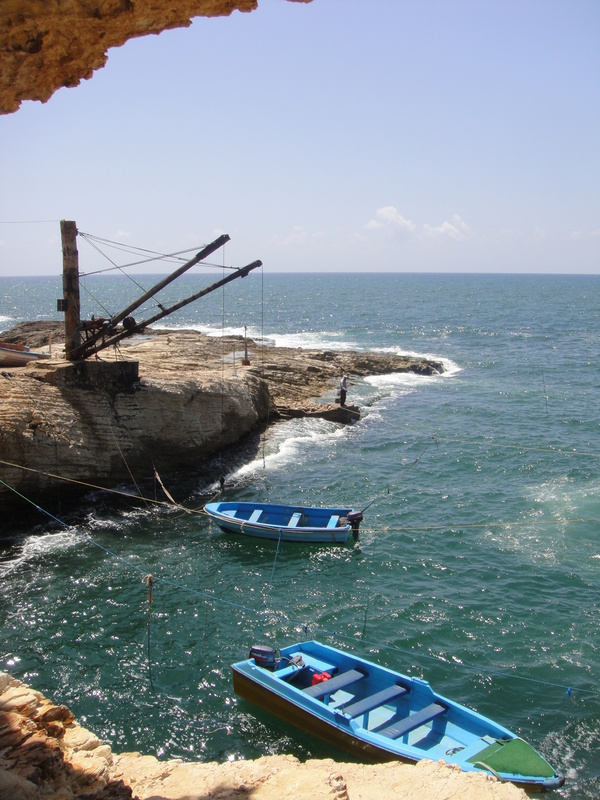 One Lebanese man commented to me that given Lebanon’s various competing factions that what is surprising is not that the civil war lasted as long as it did, but that it ended at all. 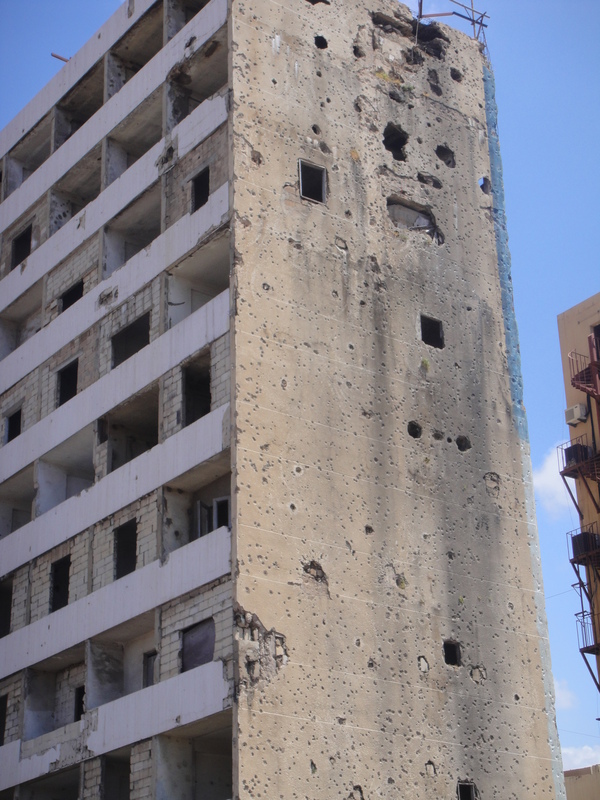 And Beirut was bombed heavily by Israel as recently as 2006 as part of its effort against Hezbollah. That was not that long ago and the tensions that led to that campaign are more present than ever. 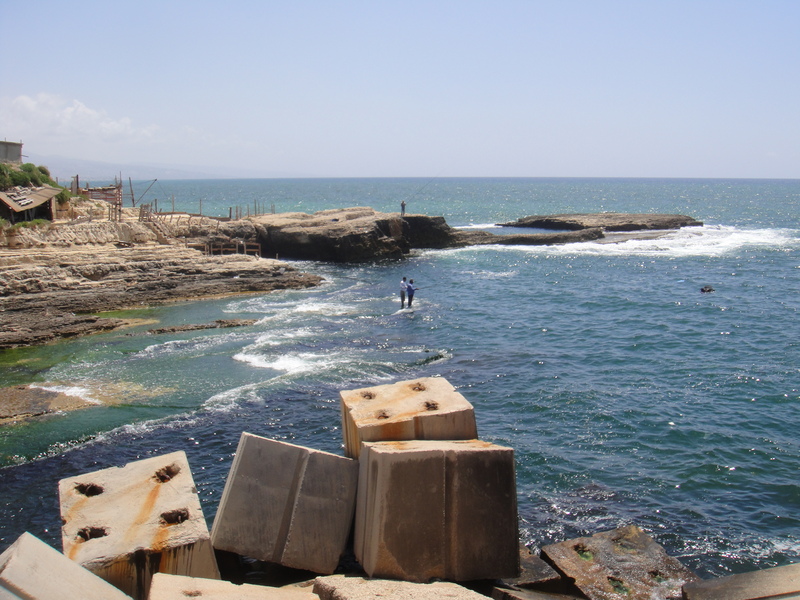 Tags: Beirut, Beirut Waterfront, Justin Ames, Lebanon, Martyr's Square, Mohammed Al Amin Mosque, Pigeon Rocks. Bookmark the permalink. 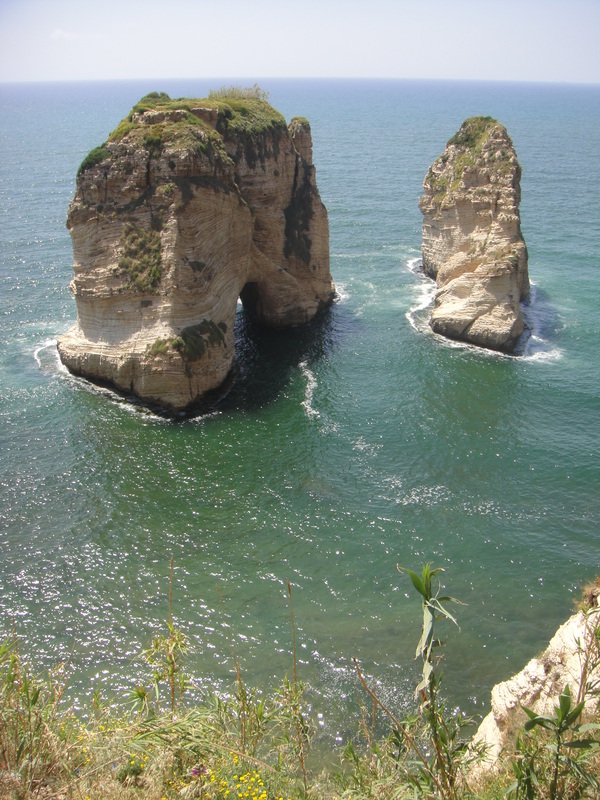 Sunday’s spasm of violence bodes ill for Lebanese stability. But the real problem is that there’s nobody in charge. BEIRUT — The streets of Beirut’s working-class Sunni neighborhoods started filling up with all the signs of trouble by about 9 p.m. on Sunday night. Young men on scooters clustered together, barricading their neighborhoods with burning tires and overturned dumpsters. 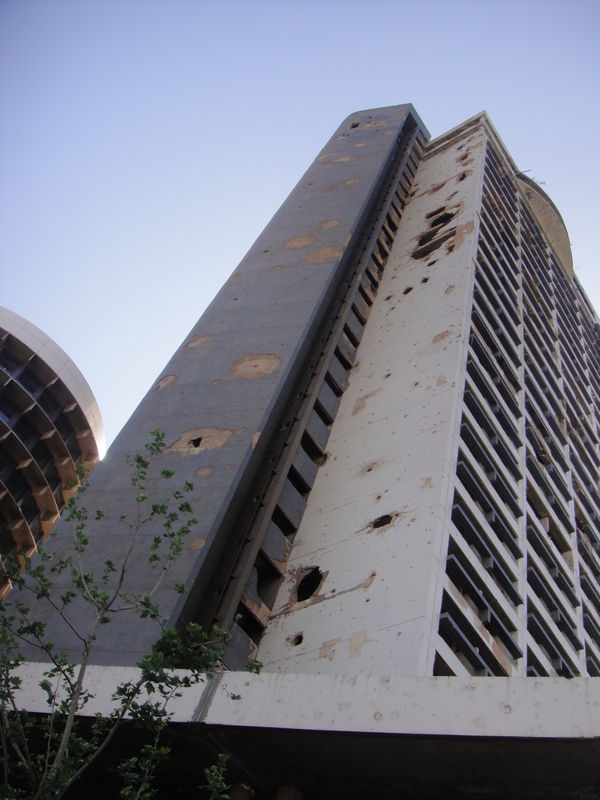 But even cynical observers of Lebanon’s descent into chaos couldn’t predict how bad it would get. The youths’ fury stemmed from a killing earlier in the day of two prominent Sunni religious figures from north Lebanon, who died in a hail of bullets at an army checkpoint. But how and why the two men — strong supporters of the Syrian rebellion just over the border — were killed quickly became moot in the eyes of the frustrated young men of Beirut. The Army, long a symbol of national unity in a country torn apart by religion, now appears to have become their enemy. Tensions between Lebanon’s political movements, which are divided between supporters and enemies of the Syrian regime, are nothing new. Just last week, the northern city of Tripoli witnessed clashes after a Lebanese security agency arrested a popular Islamist activist. But what happened on Sunday night went well beyond Lebanon’s normal dysfunction. It all began when a group of openly armed men attempted to close the office of the Arab Movement Party, a Sunni group allied with Hezbollah. The party members in the office were armed but badly outnumbered, and they confronted the group of furious young men on the street, forcing the Army to intervene. Usually, the presence of the Lebanese Army calms such incidents. But not this time. 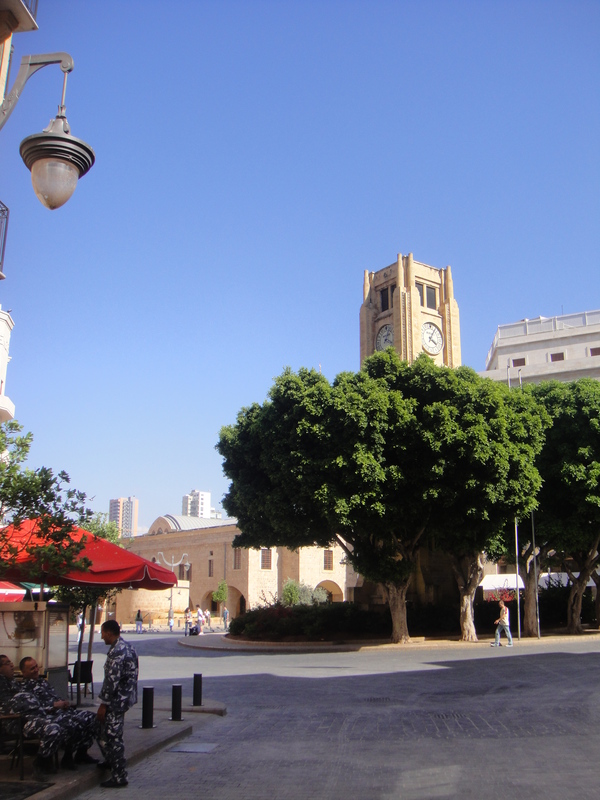 I was on the corner of Beirut’s Tareeq Jdeideh neighborhood when things turned bonkers. Attackers opened fire with multiple automatic weapons on a group of arguing men and soldiers. The soldiers ducked for cover along with the civilians: A young soldier and I fell behind a Volkswagen sedan for cover as scores of kids sprinted down the street away from the gunfire. Several were hit in the back as they fled. 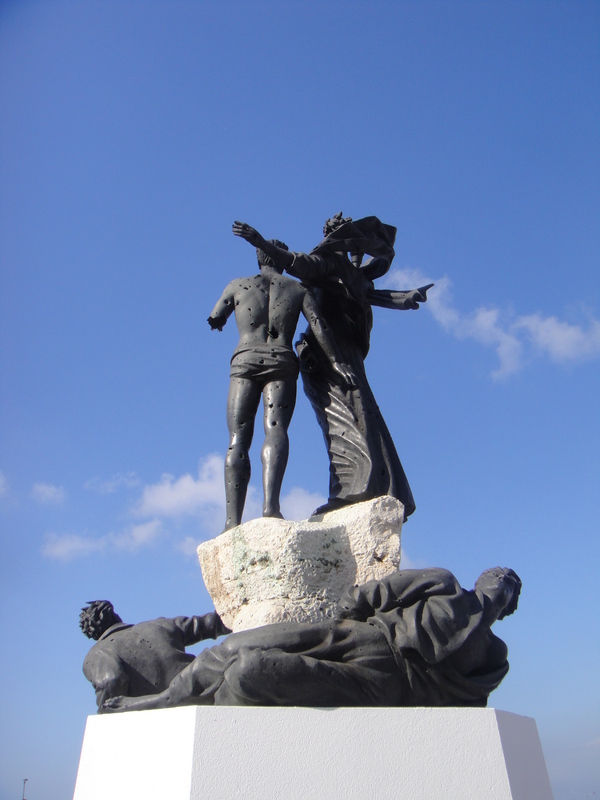 It was impossible to see the source of the gunfire, although it was direct and very close. As rounds bashed into the car and ground around us, the young solider and I decided we were far too close to the front. Waiting for a lull in the firing, we both counted off “one, two, three” and he stood up to run back toward better cover. The soldier stood up with his M-16 ready to spray covering fire for our retreat when he was promptly shot through the shoulder. He paused and stared down at me with a confused look on his face. “Run, man, run,” I hissed at him, deciding that he was better off running wounded down the street to his mates, while I was now much more comfortable laying where I was for the time being. He ran, and I could see him get into a Humvee, his wound serious but not life-threatening. Bad as it was at the front of the street, where I appeared to be the only one without a weapon, the block we were trying to reach wasn’t much safer. Armed kids on scooters were using the anarchy to try to assassinate soldiers from behind. One boy even drove up the street with a face mask on, pulled a pistol, and pumped a few rounds into the back of a soldier who was returning fire down the street in the other direction. I heard the pistol shots and saw the soldier fall, and my colleague witnessed the gunman casually drive away and hand his mask to one colleague and the gun to another, who zipped away into the night. At least three people were killed and more than a dozen wounded in the mayhem. As tensions mount between Sunnis and the pro-Syrian neighborhoods of Tripoli, fears that the rage would spread to Beirut were realized in force Sunday night. How did it all unravel so quickly? The May 20 violence was the culmination of a steady drumbeat of humiliation for Lebanon’s Sunnis that stretches back for years. 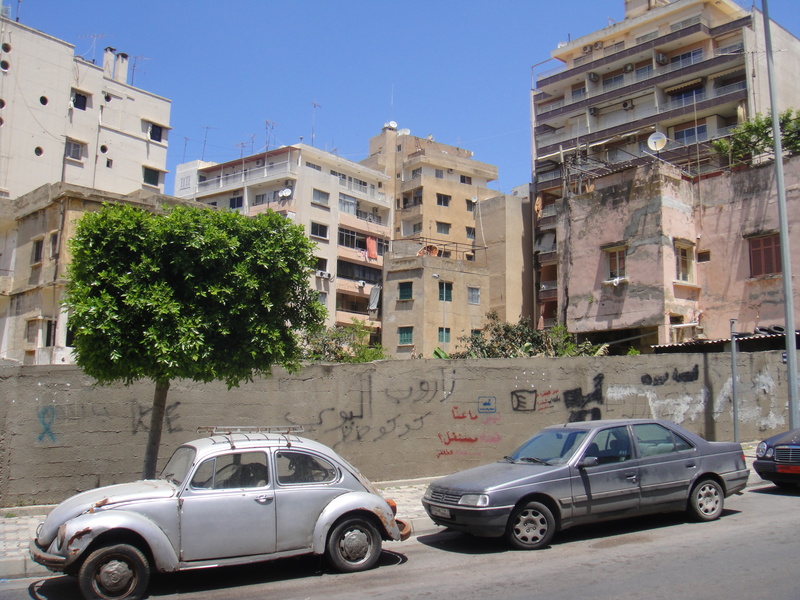 In May 2008, militiamen belonging to Hezbollah and its allies ended a long-simmering political crisis by invading Sunni neighborhoods of West Beirut. Then, as the Arab Spring unfolded across the Middle East, the main Sunni leader, Saad al-Hariri, was forced from the premiership by a Hezbollah-led coalition. 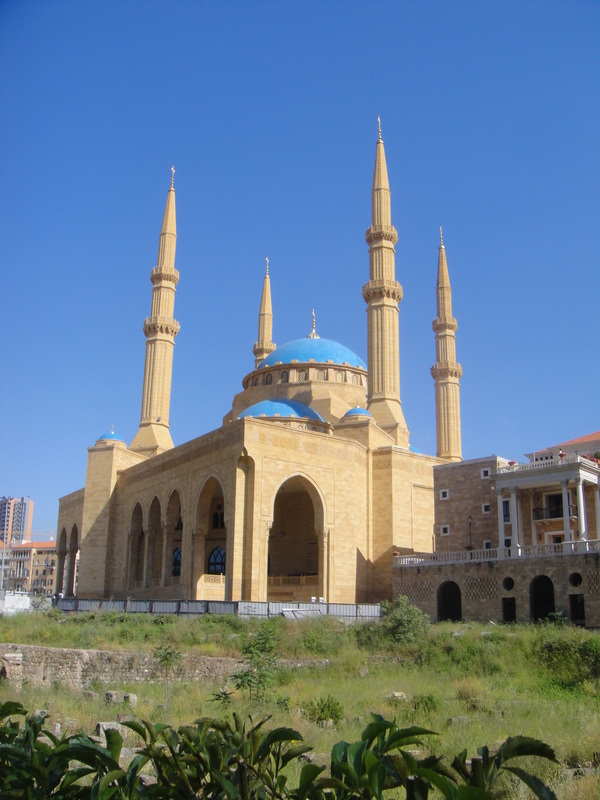 And now, as a primarily Sunni rebellion rages against President Bashar al-Assad, Lebanon’s Sunnis are once again outraged at their government’s efforts to clamp down on their attempts to aid their co-religionists across the border. Unusually, yesterday’s violence didn’t spread outside of traditional Sunni strongholds. Tareeq Jdeideh lies alongside the Shiite neighborhood of Chiya, and the fear was that the chaos would draw in gunmen from Hezbollah and its chief ally, Amal. But Sunday night seemed more about revenge toward the army for the earlier shootings, months of pent-up frustration from being saddled with a government perceived to be doing Syria’s bidding, and an effort to cleanse Sunni neighborhoods of proxy parties aligned with the Syrians and Hezbollah. Moreover, the experience of May 2008 has shown that the Sunnis are nowhere near capable of tangling with Hezbollah’s well-trained and equipped fighters. By 11 p.m., I was in a Shiite neighborhood just a few hundred meters away, talking to sources who described a mobilization by Hezbollah and its allies for a potential conflict. While that skirmish never arrived, Hezbollah forces did mount an operation late at night to extract the beleaguered staff of the Arab Movement Party — sending in several SUVs to make sure their allies got out. 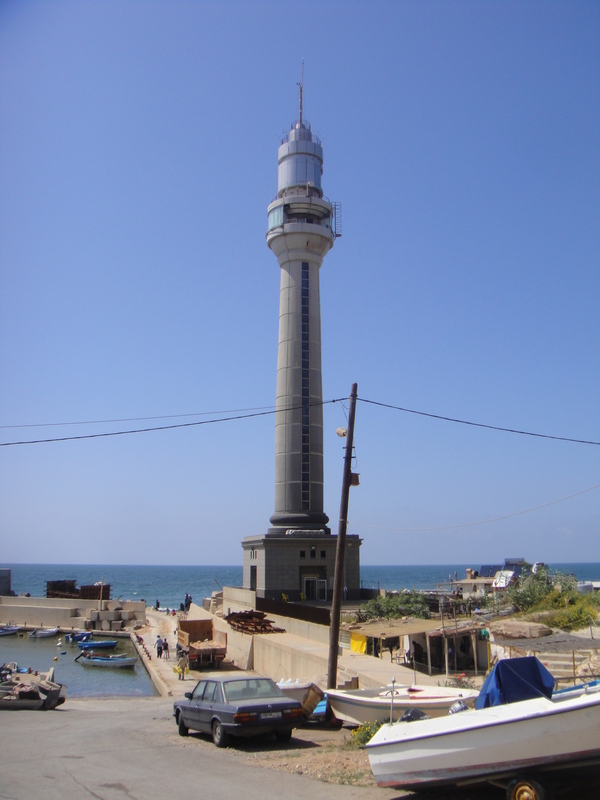 Despite being one of Lebanon’s largest communities, the Sunnis have never been able to match Hezbollah’s street power — another fact that has added immeasurably to their humiliation. That’s actually a pretty fair assessment. Lebanon’s Sunnis don’t hold real political power in Beirut today: Prime Minister Najib Mikati, a Sunni, is by all accounts a decent and honest man, but he is forced to walk a tightrope between his pro-Assad coalition partners, who are responsible for elevating him to the top seat, and his friends in the Syrian regime who have repeatedly threatened to invade parts of the north if the Lebanese Army does not get tough on smuggling to the rebels. Whether he’s a colorless technocrat doing his best in a tough situation or a Hezbollah and Syrian stooge, he can hardly be seen as a representative of the Sunni street. It’s this complete lack of real political leadership that bodes ill for Lebanon. Since Hariri’s departure last year, no Sunni political leader has gained the respect and national patronage machine — critical to getting anything done in Lebanon — to take his place. Rafiq al-Hariri, Saad’s father and the country’s longtime prime minister, once held the community together through force of personality and generous financial backing from the Saudis. However, his death in 2005 — allegedly at the hands of men affiliated with Hezbollah — has left a hole his son hasn’t been able to fill with anything beyond money. And it would appear the Saudis have withdrawn their backing for Saad as he waits out events abroad. As Lebanon descends into lawlessness, it’s hard to see what would assuage the anger of this proud community, which feels alienated from its own government and caught between a regional civil war. It’s only going to get worse: The government’s response to the violence will almost certainly be the tightening of pro-Assad forces’ control over the Army, police and intelligence services. There’s already been a quiet movement within the ministries to stack the bureaucracy with those sympathetic to Hezbollah and its allies, and the arrests of Sunday night’s partisans had already begun by Monday morning. But as Lebanon drifts further into Syria’s orbit, a large community of very angry people began rebelling Sunday night. And the path ahead is neither clear nor safe.